The Germ Guardian AC4825 3 in 1 True HEPA air purifier witSanitizh UV er and odor reduction is number one best seller. 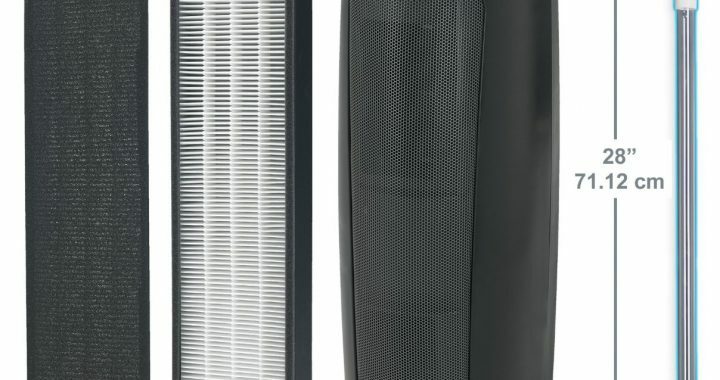 This air purifier is one of the best in the price range under $100. The Germ Guardian AC4825 Air Cleaner is ideal for small to medium spaces and has a recommended room size of 155 square feet (14m2). The design is a subjective matter, but I like this unit. It is slim and sleek, the Germ Guardian AC4825 air purifier very well fits in a corner. Just remember to leave space (at least 1 foot) between the wall and air purifier because air inlet is at the back of the unit. Also, don’t place anything in front of it because of the air outlet. In my opinion, Germ Guardian AC4825 is pretty high – 21.5 in (54.6cm), higher than a normal bed. But tight width and depth compensate that. 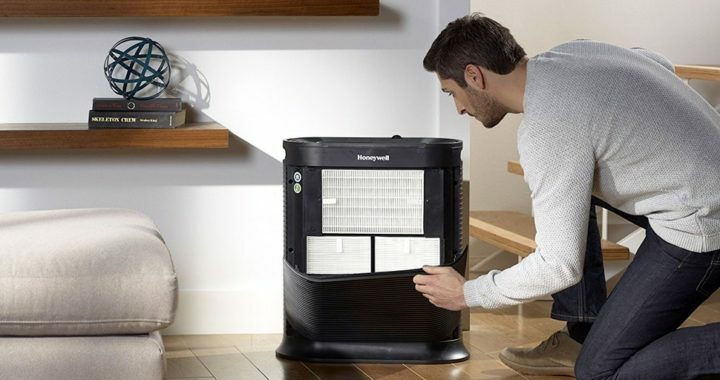 An air purifier is a very lightweight only 8.82 lbs (4kg). So you can easily move it from space to space. Carrying handle makes it easier. Does it work and destroys everything that is mentioned in the picture above? Yes, it does. I have a very sensitive nose and usually, smell odors that others don’t. Germ gGuardianAC4825 removes cigarette and kitchen odors prettyÂ fast. It also doesn’t have problems to remove dust mites, mold spores, pollen. It helps if you have respiratory issues, dust mite allergy etc. The manufacturer says quiet operation. But it is quiet only on low setting. Of course, during the day highest fan speed will not disturb you but at night you should use first speed. CADR- clean air delivery rate. For you to better understand CADR lets calculate. Germ Guardian AC4825 is recommended for rooms up to 155 square feet. Let’s say regular ceiling height is 8 feet. 155×8=1240 cubic feet. Now it is much easier to understand how effective will be an air purifier. The UV-C Bulb should be replaced every 10 – 12 months depending on use. It costs around $15. On the high setting, Germ Guardian AC4825 consume 55W plus 5W bulb. Together 60W wattage. That is less than your PC or TV. A little bit more than a fridge. I am not surprised that this Germ Guardian AC4825 is the best seller. 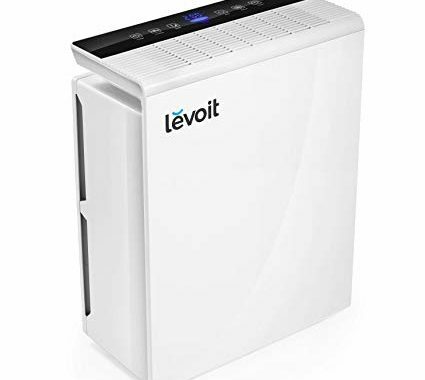 It costs under $100, delivers clean air in 10 minutes (if used in recommended size room), saves space, lightweight, easy control panel. Ideal for allergy and asthma sufferers. Many customers complain about the plastic smell in first days. 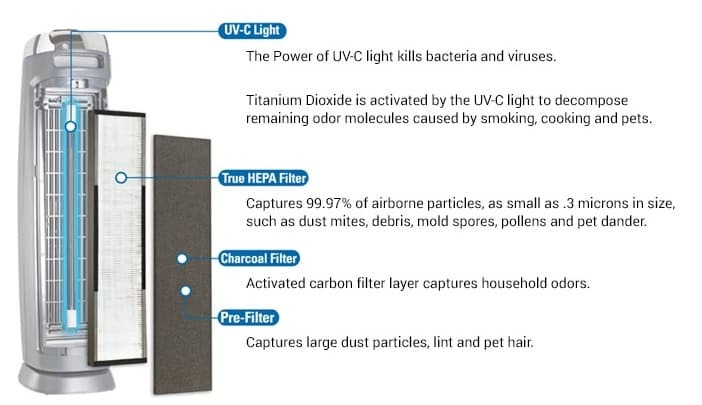 Posted in Air Purifier Reviews, Reviews and tagged Air Cleaner, Air Purifier review, Germ Guardian, True HEPA.